For someone who was all “Harrumph! There’s only one authentic recipe for Bolognese Sauce!”, I have some nerve telling you what I’m going to next, which is that I’m in love with an unapologetically 100% so-not-authentic Chinese recipe. 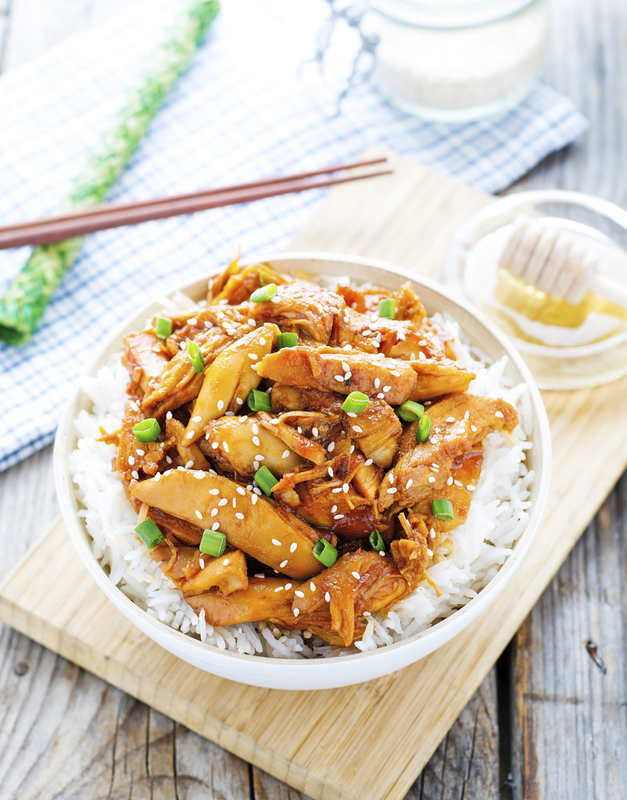 Actually, now that I’m thinking about it, this Honey Sesame Chicken is — just like General Tso’s chicken, wonton soup, hot and sour soup, sweet and sour pork, chicken balls, ginger beef, crispy beef, and lemon chicken — one of the quintessential American-Chinese recipes. Dishes we think are Chinese but are considered foreign fare in China. Nonetheless, I’m a firm believer that when done right American-Chinese food can be so delicious one should not restrain from eating it just because it's not authentic Chinese food. Fact is, if a craving strikes for soy-sauced dinners, I usually give them a go in my own kitchen, in a quick, easy, and much much healthier version than the typical takeout. 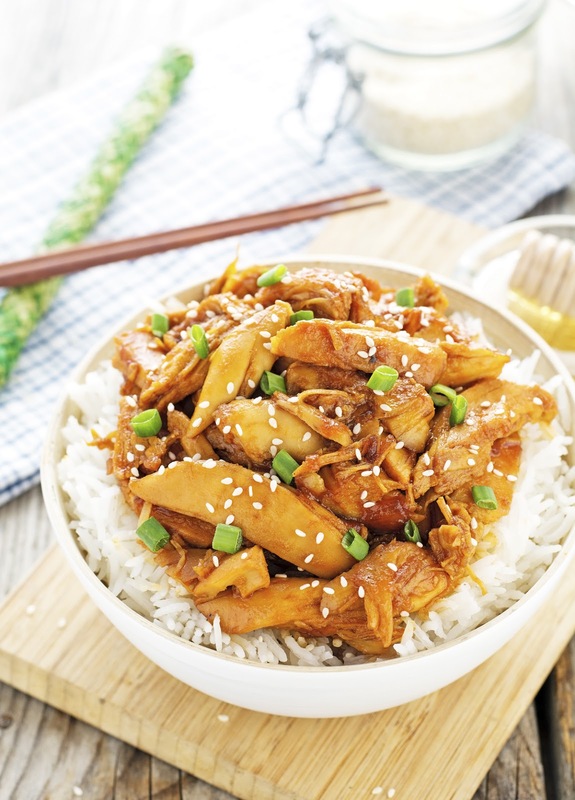 So hear me out, this Honey Sesame Chicken is made in a slow-cooker, as in, while you are busy doing other things, ready when it’s time to eat. Because sometimes there’s no time for anything more than setting it and forgetting. Though I have to be honest, it’s not that easy forgetting when something smells this good. And look, I know all too well how chicken can be a tricky beast — often it comes out dry and just blah, unless you add in a lot of moistness. Which is exactly what this honey sesame sauce does. This chicken is moist and tender, not dried out at all. The flavor is amazing and it is so easy to put together — the hardest part is cutting up the chicken into chunks. I promise you will get raves from family and friends and I can totally guarantee this will become part of your to-make again list. I think we should give American-Chinese food a woot woot? 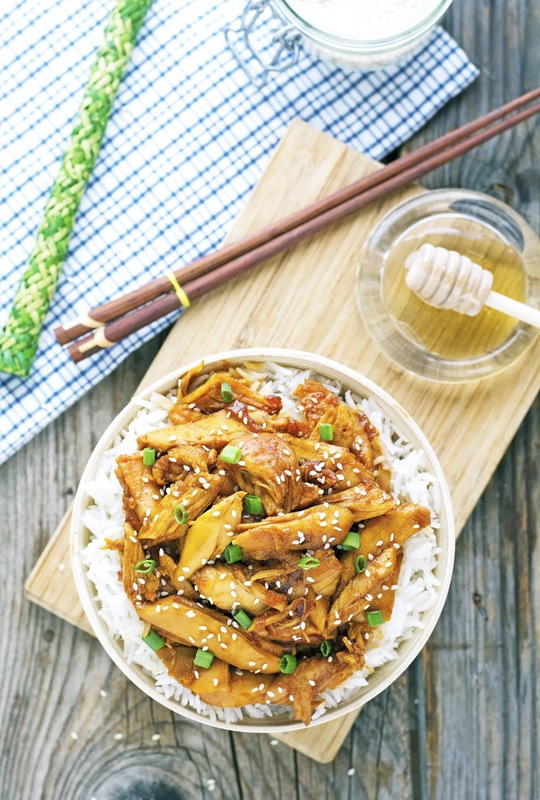 Crock-Pot Honey Sesame Chicken Print this recipe! Lightly grease the insert of your crockpot. Add the chicken and sprinkle with salt and pepper on both sides. In a bowl combine honey, soy sauce, ketchup, oil, garlic, onion, ginger, and cayenne pepper. Stir to combine. Pour mixture over the chicken in the crockpot. Cook on low for 3 hours or on high for 1½ hours. When done, transfer chicken to a cutting board and cut into strips or chunks. Set aside. In a small bowl combine cornstarch with 2 tablespoons of cold water. Set aside. Pour the sauce from the crock-pot into a saucepan. Bring to a gentle boil over medium heat and stir in the cornstarch mixture. Cook, stirring constantly, until thickened. It should take only a couple of minutes. Add the chicken and the sauce back to the crock-pot and give a good stir to coat. Serve warm sprinkled with sesame seeds and chopped green scallions over white rice (or cauliflower rice). One serving yields 450 calories, 18 grams of fat, 46 grams of carbs, and 29 grams of protein. 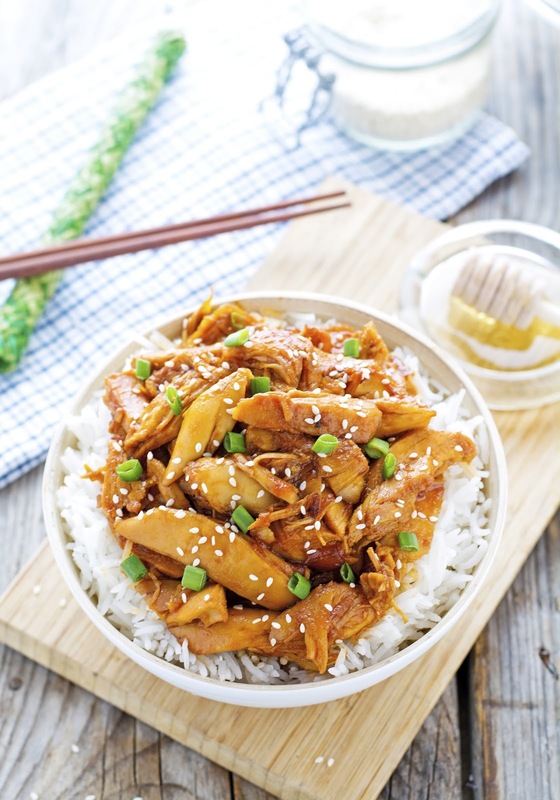 I actually really want to try American-Chinese food! I know, it's unusual since I'm Chinese myself and have lived in Hong Kong my whole life but y'know... just to see how different it is. Haha! I am loving crockpot recipes right now so this is sounds great! Hey! Good To See You! I'm Mike: triathlete, yogi, health enthusiast and food lover. I fill these pages with healthy recipes and ramblings about everything and nothing! This entire site 2011-2019 TheIronYou and all its contents and photographs herein, unless otherwise specified, are copyrighted by the holder of the site. No part of this site, or all and any of the content contained herein, may be used or reproduced in any manner whatsoever without express permission of the copyright holder. The contents of this website are not intended to provide medical advice, diagnosis or treatment. Views expressed herein do not necessarily reflect those of TheIronYou or its staff.